The price for this four-week course is £60 GBP (approx. $79 US, $102 Canadian, €68, $105 AUD, $117 NZ) and the number of places will be limited to 30 students. Please see the schedule below for the 2019 course schedule. To register for the course, please fill out the contact form at the bottom of the page during open registration. If you would like to be notified when registration opens for the next class, please fill out the contact us form with the class name and date in which you are interested. 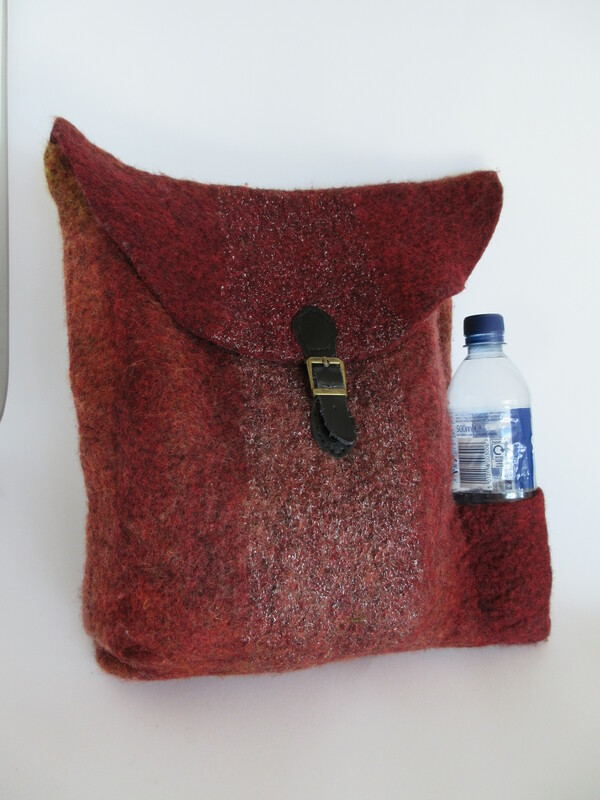 During this 5 week course you will have the opportunity to make at least 3 bags / purses. 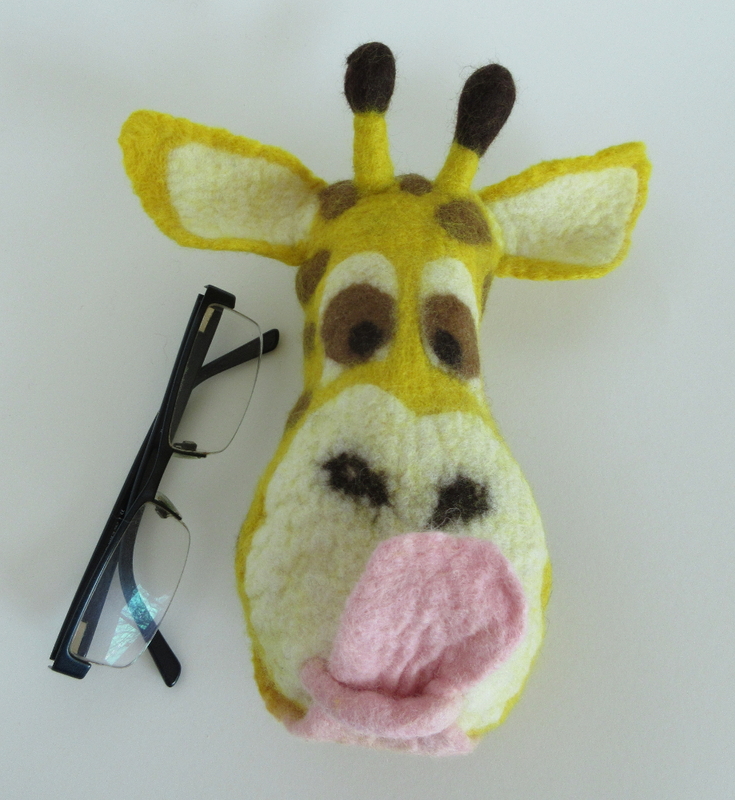 In week 1, we will make an animal themed spectacles/phone/pencil case, this could be in the image of your favourite pet or a friend’s pet (they make very thoughtful gifts) or a mythical beast of your own imagination! We will use multiple resists, introduce some nuno felting and make a closure entirely from wool. In week 2 we will make a small to medium shoulder / hand bag (purse to our US friends), this tutorial will demonstrate how to add internal pockets, a magnetic clasp, adjustable shoulder straps and take shaping the felt to the next level so the bag has a flat bottom and stands up on its own. The week 3 tutorial is a little more ambitious, we will be making a backpack with adjustable straps, multiple internal compartments and internal pockets. Weeks 4 and 5 will be for catch up / further development, you might like to apply your own design to a bag, I will be on hand to answer any questions and talk through any challenges your design might create. The content of this workshop is suitable for felters with some experience, you do not need to have made a bag before but if you are confident making felt pods, bowls etc. over a resist you will be able to make these bags.